For this week’s YouTube Tuesday, I’ve posted one from David Hewlett’s popular YouTube Channel – dHewlett. A self-proclaimed geek and nerd, he’s best known for his role as Dr. Rodney McKay in Stargate’s Atlantis. On his channel, you’ll find all sorts of science and geeky stuff by this cool and funny dude. His son who he endearingly calls the Bratlett appears on many of the videos (including this one). Together they film all kinds of quirky and entertaining stuff around Pokemon and Minescraft. Whenever I watch one of his videos, I have to ask where on earth (or in the universe) does this guy gets all his energy from? If you’d like to participate in YouTube Tuesday, post something from YouTube that you enjoyed and tell us a bit about it. Don’t forget to include the link to this post in yours so I can check it out. Also, if you’re on Twitter, Tweet about it using the hashtag #YouTubeTuesday. We can’t visit the 1970s without looking at the movie that shaped the decade: Saturday Night Fever. This movie did several things. It propelled disco music and dancing to great popularity as well as made actor John Travolta a house-hold name for the upcoming decades. The soundtrack of the movie featured several songs by the Bees Gees which quickly became one of the top soundtracks of all time. This did wonders for their singing careers with Staying Alive as one of their most recognized songs. Is There Madness In Writing? Read this quote. Does it speak to you? I guess there’s a bit of madness in all of us. I’m sure I am NOT the only person writing a post about this man-but, here I am. Leonard Nimoy’s death hit me a little harder than many other recent celebrity’s deaths. 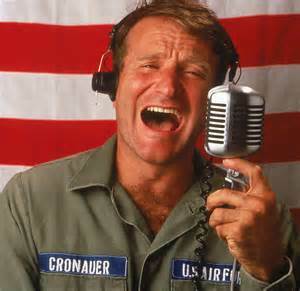 One of the reasons would be is that he died due to complications related to COPD. With this, I can somewhat empathize with the family as I lost my daddy this past fall to Interstitial lung disease/COPD. It’s a painful thing to watch your love one struggle for each breath while feeling powerless to help ease their suffering. Like my daddy, he’s now in peace. Many will remember Mr. Nimoy for his role as Mr. Spock; but he wasn’t just an actor but an artist. I didn’t know that part (comic-book series), and I love the concept behind it so with that thought in mind, I’m going to try and hunt this down to read. Mr. Nimoy, may you always live long and prosper-wherever you are. Another shining star has fallen. Rest in peace.